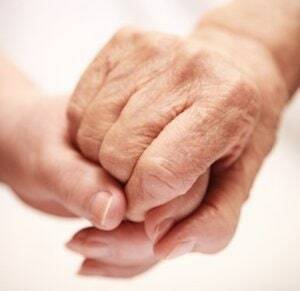 The Frederick nursing home abuse & neglect attorneys of Nursing Home Law Center LLC routinely represent the interests of those who have been injured due to neglectful or negligent care provided by those meant to tend to their needs. Over the last ten years, the entire nation has witnessed an epidemic of nursing center abuse cases that has coincided with numerous for-profit companies entering the industry and placing profits over quality of care. In an effort to raise public awareness to the most common nursing care concerns and to help you avoid facilities that provide subpar care, we have compiled the information below about the prominent centers serving your area. Medicare regularly collects information on every nursing facility in Frederick based on data gathered through inspections, surveys and investigations. Currently, the national database reveals that surveyors found serious violations and deficiencies at four (31%) of the thirteen Frederick nursing facilities that provide their residents substandard care. If your loved one was mistreated, abused, injured, harmed or died unexpectedly from neglect while living in a nursing home in Maryland, let our attorneys protect your rights starting now. Contact the Frederick nursing home abuse & neglect lawyers at Nursing Home Law Center (800-926-7565) today to schedule a free case review to discuss how we can file and resolve a claim for compensation on your behalf to recover your damages. The city of Frederick played a vital role in early American history as the crossroads between routes leading from Baltimore to what would become Washington, D.C and across the Appalachian Mountains to the Ohio River watershed. It is home to the US. Army’s bioscience/communications research installation at Fort Detrick, which is the surrounding county’s largest employer. Frederick’s population has grown to over 68,000 and seniors represent almost 11% of the total. Seniors looking for resources that will allow them to continue leading active and healthy lives while socializing with those of similar interests can take advantage of the programs offered by the Frederick County Department of Aging. Services include nutrition programs, a strength training program, yoga, line dancing, Zumba, Bridge, Mah Jong, a technology assistance program and regular dinnertime presentations with leading doctors on senior health topics. Our Frederick nursing home injury lawyers believe in a proactive approach to addressing the ongoing epidemic of poor nursing care that is currently hitting the nation. We’ve compiled the information below on the most prominent nursing centers in the Frederick area so that you will have a greater understanding about the more common nursing concerns you should pay attention to and to help you avoid facilities that have a history of providing poor treatment. If you would like more specific information about any of the facilities we have listed or would like to see how a facility that isn’t included has been rated, you can use the nursing home compare tool found at https://www.medicare.gov/nursinghomecompare. Primary concerns: Minor health inspection deficiencies and an inadequate quality measures score have kept this facility from a perfect score. A low quality measures score is a reflection on the ability of a facility to provide specialized or individualized care to individual patients rather than offering more generic care not tailored to specific complications or concerns. Primary concerns: Aside from having a mediocre staff and quality measures that are average at best, this center has been cited for numerous health inspection deficiencies. This places patients at an elevated risk of developing infections, spreading communicable diseases or being injured due to environmental hazards. Primary concerns: There is not a single area of assessment in which this facility received an admirable rating. Its quality measures are severely lacking and it is plagued by a poor health inspection history. Understaffing may be the underlying cause of many of its issues and it is not uncommon for corporations to keep staff at inadequate levels to reduce overhead. Unfortunately, this also reduces the quality of care provided. Primary concerns: This facility has great scores in all areas aside from its health inspection history. Numerous deficiencies have resulted in a two star health inspection score, which raises a red flag for those considering placing a loved one under this center’s care. Primary concerns: An abysmal health inspection history and understaffing concerns are the driving factors for this facility’s poor overall score. Primary concerns: It should come as no surprise that the highest rated facility on our list is a nonprofit center. While this facility has been cited for some minor deficiencies in past health inspections, it has an above average staff quality rating and a five star quality measures rating. This provides a stark contrast to the quality of care offered by facilities driven by profits. It is the belief of our Frederick nursing home injury lawyer that no suspicion is foolish when it comes to how your loved ones are being treated. If you notice that your loved one is acting different, discover physical evidence of abuse or neglect or have any other reason to suspect that your loved one is being mistreated, we will be happy to help you investigate. If we find evidence of a concern, we can assist you in relocating your loved one to a center that will provide better care while we aggressively pursue justice on his or her behalf. Contact Nursing Home Law Center LLC today to schedule a free consultation so that you can learn more about your legal rights and options while we gather the information we need to evaluate and build your case. Our Frederick nursing home abuse attorneys have years of experience and a successful track record of recovering the maximum compensation available for victims of nursing home neglect and abuse. We operate solely on a contingency basis, so we will never accept payment for our services until we are able to successfully secure damages on your behalf.